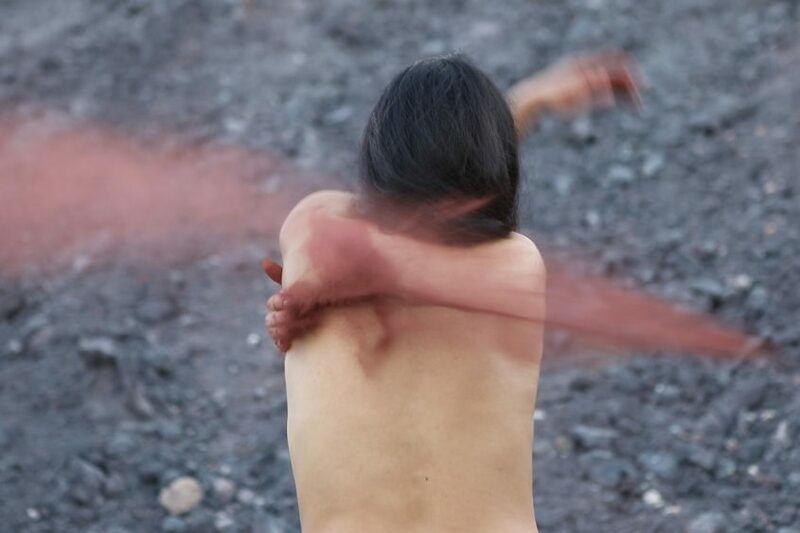 The second edition of Rakete festival will be TQW’s latest quest for new positions from the Austrian and international dance and performance scene. This marks yet another expedition centring around questions of future, identity and gender politics. 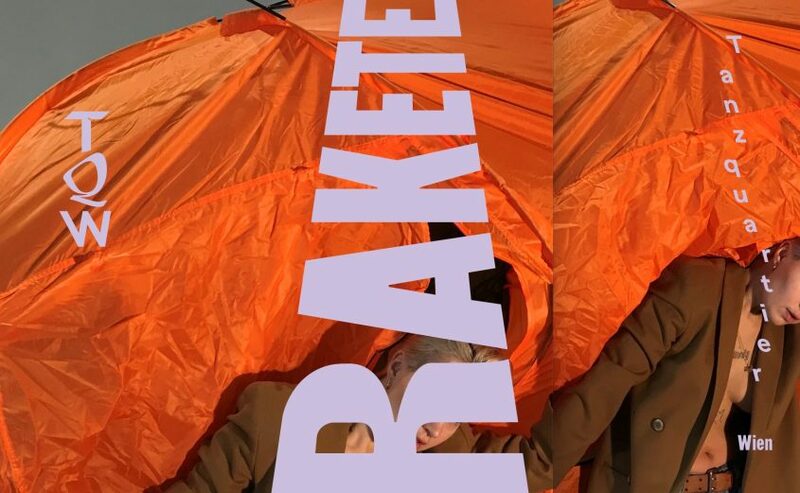 Rakete unites a generation of performance artists, choreographers and dancers dedicated to finding alternative story lines – a journey to unknown galaxies and new life forms. All you need to explore the cosmic realms is a spirit of discovery and a day pass. Three. Two. One. Zero. It can cause trouble to make trouble and if one is in serious trouble, one cannot afford to make trouble – let alone to make work about trouble. In their solo, Lau Lukkarila labours with trouble as a consequence of what they are not trying to hide or to avoid. On the one hand, they ask what the troubles can be that they – as white and queer – can afford to feel and get into, and what are the discourses, genealogies and ancestral biographies inscribed in their body. How do specific troubles move and freeze bodies; such as internal and external injuries, a broken heart, misgendering, shaming, belittling, anxiety, being broke or lost, sexual harassment, homophobia, violence, pain, fear of ageing and dying. On the other hand, they state that the genealogy of trouble has everything to do with mechanisms of power. It is just like Ebow says in the song Punani Power: „Aber ein echter Gangster ist ein Feminist.” A real gangsta – a subject with power and agency – is the one who is aware of the mechanisms and distribution of power. The one who troubles mechanisms of trouble in the name of less trouble. 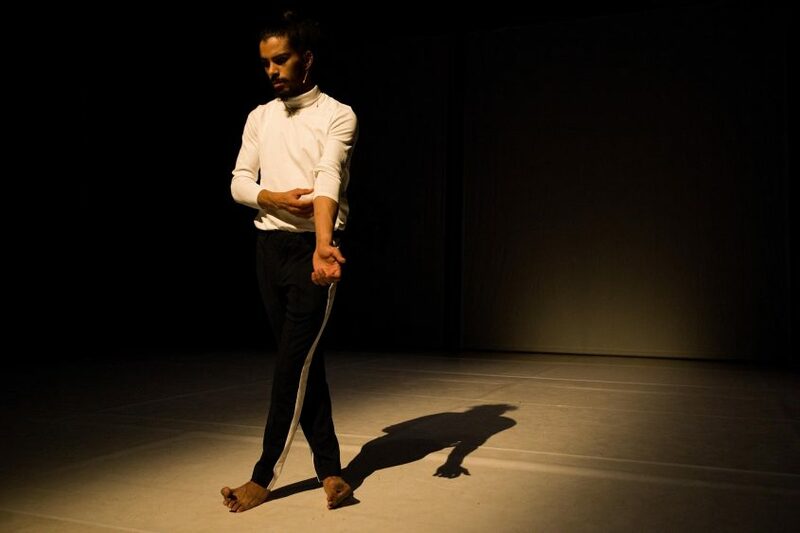 In Under Cover, Iranian-Austrian dancer and choreographer Ulduz Ahmadzadeh crosses autobiographical continents, places and contexts and connects these experiences to the experiences of other ‘oriental’ women in a captivating mix of performance, film and installation. Whether they are wearing a hijab or not, the ethnic background of these women draws a veil of social prejudice over the reality of their lives. The recent populist conflation of terms like Islam, hijab and terrorism does not help either, but intensifies this one-dimensional representation of Muslim women. For this reason, Ahmadzadeh leaves behind the false pretences of origin-related debates and engages with an analysis of the socio-political situation, which might enable us to subvert existing power structures. Based on interviews, Ahmadzadeh will assume the identities of different women, thereby providing insight into a complex field of diverging social roles, belief systems and individual takes on pleasure and freeing the body. „I feel a very strong bond with a rebellious young generation of antiracist writers, climate activists and economists – the first generation that is not economically better off than their parents. These young people who have been born into a broken world are looking around and indignantly asking: Really? Is this what you’ve left us? I admire that anger. It’s the firm indignation of people who are forced to look for alternative stories. Different stories about what success is, what prosperity is and what comprises a thriving society. Mohamed Toukabri’s self-portrait engages with issues concerning the politics of migration and its ramifications: Ten years ago, Toukabri arrived in Brussels to study at P.A.R.T.S, and he has since travelled between his native country, Tunisia, and his adopted homeland, Belgium, oscillating between two cultures and traditions, between different art movements and dance styles. His performance specifically addresses this space of the in-between: between emotion and reason, representation and being, one moment and the next. In The Upside Down Man, autobiographical texts are juxtaposed with a virtuoso movement vocabulary – ranging from Tunisian breakdance to contemporary dance – and a counternarrative is created that suspends the negative bias which dominates debates on migration: a counternarrative that tells the story of beauty and riches found in the life of a person traveling between countries, cultures and histories. What do we have in common with future life forms, galaxies or the tiniest molecules in the universe? Will future species share our obsessions; will they also constantly trouble themselves with questions about the future? Karin Pauer’s previous work took us on a journey into the history of the universe. Her latest piece will continue this journey and take us to the future. With her unique blend of humour and wit, she will tackle humanity’s sense of superiority. Speculations, multiple spheres and a boundless stream of questions will come together in the form of sculptural body images. 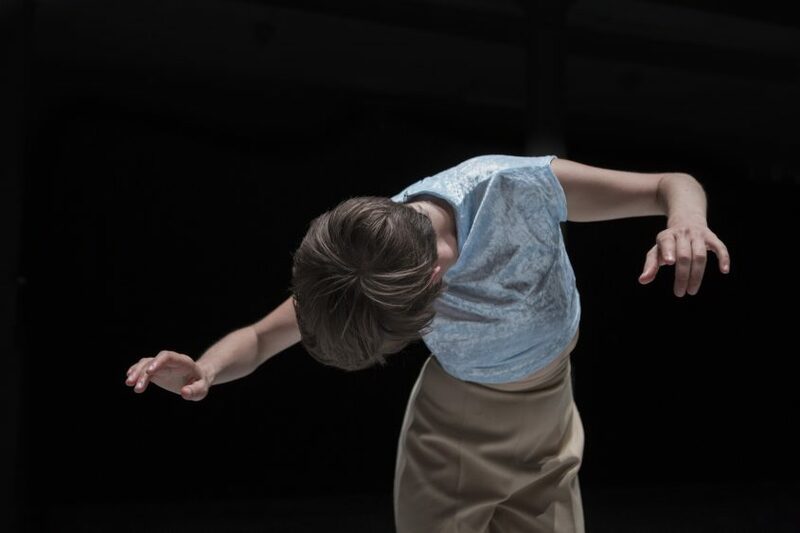 Together with her mother, Johanna Pauer, and dancer Agnieszka Dmochowska, Karin Pauer will seek to explore the mysteries of the universe and unveil its relations and definitions. Points of reference will be put into question, change in perspective will be encouraged: Human kind is only one version in a series of multiple versions. This cosmos consists of atoms as big as suns and universes as small as atoms. How to locate oneself in all this? would you rather be time or space? to turn around to do what? have we seen all possible constellations? is this common in the universe? Sophia Süßmilch is constantly aware of her position as artist: Her work often reveals the ridiculousness of the art canon, e.g. when she engages with the genius cult and the mechanisms of the art market. You think of yourself as a performance artist? You are no more than a meme! She uses absurd and comic elements to subvert the arts’ claim of universality. We cannot prevent failure, but thanks to art we can fail in a beautiful manner. Life: a performance. What does identity mean in times of unbound streams of images and information? In a world that seems to promise that we can be anything we want to be? Which borders, mechanisms and constraints are we subjugated to? What might remain if we rid ourselves of all these laboriously created images? What is at the heart of our existence? Where do you start, where do I end?